Rooftop Beer Yoga – PartTwo on August 16thth – Beginners and all levels welcome! Press Kitchen Item Highlight: Happy Hours Specials! 2, 4, 6, 8, who do we appreciate? You! BOOK SPA@IC NOW: $25 OFF an 80 Minute Massage 8/1 – 8/15 Only! Rooftop Beer Yoga – Thursday, August 16th – All levels welcome! 2, 4, 6, 8, who do we appreciate? You! We’ve added Happy Hours specials from 3 – 6pm. 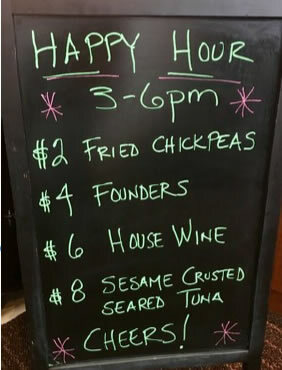 $2 Fried Chickpeas, $4 Founders, $6 House Wine, $8 Sesame Crusted Seared Tuna! Come on in and enjoy! Looking for a fun way to escape the craziness of the week and enjoy social time with friends and co-workers? Let the good times roll and book an LSF Happy Hour including stationed appetizers and 2-Hours of Open Bar Beer/Wine for $25/person (15 person minimum). Semi-private space and upgrades available. Some restrictions apply. Contact David Klein at ICEvents@LakeshoreSF.com or 312-801-8421 to reserve event space for your corporate happy hour! Get $25 OFF an 80 minute massage at the Spa@IC between August 1st and August 15th 2018. Just book via the MyLSF App or by contacting ICSpa@LakeshoreSF.com and enjoy a Relaxation or Sport Massage at the hands of our Certified Massage Therapists form LSF and the Spa@IC. Kate is one of our senior tier trainers, a figure competitor and coach, and a swim coach. After a 13 year competitive swim career, Kate “retired the goggles” post college. While she kept up at the gym, strength training and running, she found that she missed training for something specific and competing. That’s when she found body building in the figure category. It was something new and exciting, something to train for, and something to compete in! She’d been weight lifting for 12 years and loved it from the moment she picked up her first set of dumbbells, so why not compete in something that is heavily based on weight training (and NUTRITION!!)? That’s where she says she learned the most (the diet and macros), as well as how much self-control and discipline she had. The result is extremely rewarding! 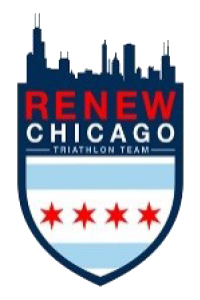 If you have any questions, want to change the shape of your body, or are interested in competing, please contact ICPT360@Lakeshoresf.com to set up an appointment.